MICAT Score Card 2019: Mudra Institute of Communication (MICA), Ahmedabad has organized the MICAT-I exam on December 1, 2019. The institutes will shortly announce the result at the official site in the form of a Score Card. Latest Update: MICAT I Result is going to be released Today. Stay tuned for it here. Result Date for both MICAT-I & MICAT-II is announced by MICA, Ahmedabad at the official website. You may check your result after being available at the site. Candidates can succeed in downloading their Score Card of either of MICAT-I or MICAT-II by following the steps given below. Login to the account with your login credentials. Click on the MICAT-I or MICAT-II Score Card download link. You will see your MICAT Score Card 2019 on your screen. Check your score & rank printed over the result. MICA will release the list of shortlisted candidates based on their CAT/ XAT/ GMT score card & MICAT marks and selected candidates will be called for GE (Group Exercise) & PI (Personal Interview) rounds. You can follow the Selection Process Guidelines to shortlist Candidates for GE & PI rounds. 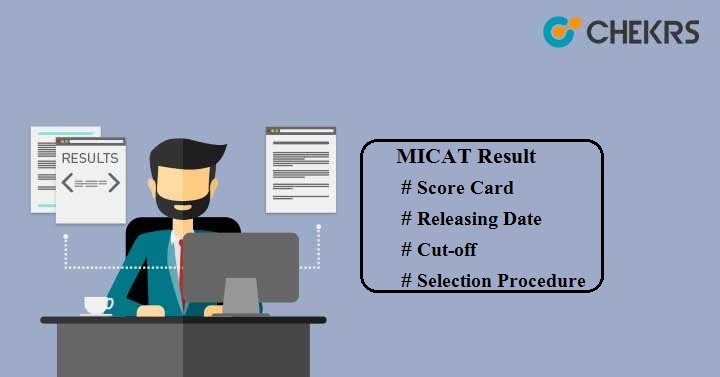 Final MICAT Score Card 2019 will be announced by calculating the scores of all 3 rounds. Candidates who will be able to clear all rounds will get admission in MICA. You can see the weight-age given to each round. For more information & feedback regarding MICAT 2 or MICAT 1 Result, you can leave your queries in the message box below.